In the heart of the Appalachians, where in the process of time New River has ground its way into the hills, there is a place known as Round Bottom; to the Gwinns the most beautiful place on earth, because it is home. Home, not only because the family was born and raised there, but also because they grew, and became a part of that which makes life beautiful. Round Bottom, the home of the George Loomis Gwinn family at McKendree, Fayette County, West Virginia, is well remembered and well loved by the many descendants and friends of the family. The name came from the fact that here, about a mile downstream from the west portal of Stretchers Neck tunnel on the Chesapeake and Ohio Railway (now CSX), New River makes a wide circle, leaving several acres of fairly level bottom land on the west bank of the river. As a child, I wondered how the family came to settle in this remote place, even then accessible only by a rough wagon road or by boat. My father told me many stories, passed down from his father and mother, about the pioneer life of his grandparents, Laban and Mary Jane Burdette Gwinn, who settled here before the Civil War. I have been able to find documentation and historical background for some of these stories, and have come across other interesting facts in the past few years. I am writing them down for the edification and, I hope, enjoyment of friends and relatives. This is not intended to be a scholarly work; if nostalgia and sentiment are apparent, so be it. I do list sources of information, for those who wish to look further into the history of the fami1y. There are many discrepancies and unsolved puzzles in the information I have found. For example, there is the mystery of Elizabeth Speece. 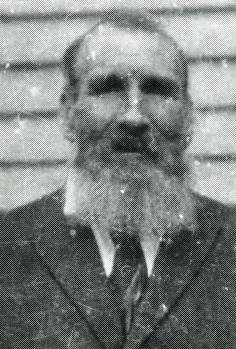 Jesse Blaine Gwinn, in History of the Gwinn Family, states that Samuel Gwinn, Sr. was first married to Elizabeth Speece. I have been able to find no documentation whatever for this, but the question lingers because Nelson Gwinn, my cousin, seems to remember having heard this from older family members. The dates on the tombstones in the old Gwinn cemetery at Green Sulphur Springs, and on John Gwinns grave at Meadow Bridge, do not agree with some of the documented facts. The stone on Elizabeths grave reads "who died January the 25th 1832 in the 73rd year of her age". This would make her only fifteen years of age in 1774 when she married Samuel Gwinn, and all records indicate that by that year she was a widow with three children. Beside the graves of Samuel and Elizabeth is a gravestone reading "Sacred to the memory of Moses Gwinn who died December 28, 1822 in the 62nd year of his age". In his will, Samuel Gwinn refers to Moses as his oldest son, but if he was the son of Samuel and Elizabeth he could not have been born earlier than 1774. Another question is: who was Samuel Lockridge? Among the "Gwinn Papers," old documents contained in a trunk entrusted to Nelson Gwinn by Willa Gwinn, widow of Lewis Gwinn, is a land grant given to Samuel Lockridge in 1794 and signed by Henry Lee, governor of Virginia. The land described in the warrant is apparently the land where Samuel Gwinn settled in Summers County after he married Elizabeth Lockridge Graham. How the document came to be among the family papers is a mystery, as well as the relationship of Samuel Lockridge to Samuel and Elizabeth Gwinn. I am sure there are discrepancies and errors to be found in this book, also, and I apologize for them. I have tried to be as accurate as possible, but errors have a way of slipping in. Some of the old county histories were written from oral accounts, and human memory often fails or distorts facts as the years roll by. Perhaps some future historian will be able to fit in some more pieces and write a more accurate history. It is certain, however, that the Gwinns of Round Bottom are direct descendants of one Robert Gwinn (the name is variously spelled Gwin, Gwynne, Gwynn, Gwyn, Guinn, Gum) who came from Wales and was appointed constable at the head of the Calfpasture River in Augusta County, Virginia in 1746. I have had valuable assistance in gathering information for this book. Nelson Gwinn has been of the greatest help in taking time to help me go through the papers in the old trunk and has copied many of the documents for me. All of the "Gwinn sisters", Lena Johnson, Elsie Godbey, Mona Frost, Nelle Wriston, and Leila Walters have furnished old pictures, oral history, and anecdotes. I owe special thanks to Sheilda Ballantyne for using her skills in photography to make prints of the old pictures. All the first cousins have been most cooperative in furnishing biographical material about their parents. My heartfelt thanks to all of them. When Robert Gwinn came to the head of the Calfpasture River some time before 1744, the east coast of Virginia had been settled for over a hundred years, but this area between the Blue Ridge and the Alleghenies was still sparsely settled and wild. The rugged mountain country may have reminded him of his native northern Wales, which is also rough and mountainous. The area was attractive to settlers, however. Rivers, abounding in fish, flowed through level, fertile bottom land. Forests provided an abundance of fruits, berries, and nuts. To those who had experienced hard times in Europe, it must have seemed a land of opportunity. Both the English government and the government of colonial Virginia began to encourage settlement of this area in the early eighteenth century by offering land grants of from 10,000 to 100,000 acres to those who could arrange to seat one family per thousand acres on the land. These settlers would provide a buffer for Indian attacks against the eastern settlements and establish the British claim to the land before the French could claim it. Speculators in England quickly began to take advantage of this policy. One of the speculators in land was Captain James Patton, who brought a shipload of sixty-five people to Hobbs Hole, a port on the Rappahanock River in Virginia, in 1738. In 1744, Robert Gwinn bought 344 acres of land on the Calfpasture River from James Patton and John Lewis. Robert Gwinn married Jean Kincaid, daughter of David Kincaid, who left Scotland after the Stuart Rebellion in 1715 and finally settled in Augusta County, Virginia. Robert Gwinn and Jean (or Jane) Kincaid had nine children (listed in the genealogy appended to this book). His son, Samuel, was the ancestor of the Round Bottom Gwinns. In the early 17OOs, Augusta County, Virginia extended into what is now southern West Virginia almost as far as the Ohio River, and this area, called West Augusta, was still the wild, and for the most part, unsettled frontier. The scattered settlements were often attacked by Indians, and settlers formed companies of militia, with the approval of the colonial government of Virginia, to defend themselves. The family of Robert Gwinn was heavily involved in this defense, as were the other settlers at the head of the Calfpasture. Robert Gwinn served in the early Colonial Wars (against the Indians) in 1756 in Captain William Prestons Company of Rangers. David Gwinn, son of Robert, accompanied Captain Charles Lewis on a rescue mission to the Muskingum River in Ohio to restore Isabella Kincaid, daughter of William Kincaid, to her family. Isabella had been a captive of the Indians for some time, and when the rescue party found her, she wore Indian dress and was hardly recognizable. David Gwinn, so the story goes, was able to identify her because her little toe was missing. It had accidentally been cut off, before her capture, by her brother when chopping wood. Later, David Gwinn served as lieutenant and captain in the Revolutionary War. The Virginia Daughters of the American Revolution placed a memorial marker at his grave, located in the cemetery at Clover Creek Church, near the site of old Fort George in Highland County, Virginia. Only two of Roberts sons, James and Samuel, settled in what is now West Virginia. James and most of his descendants remained in Monroe County; Samuel was one of the first settlers in what is now Summers County. 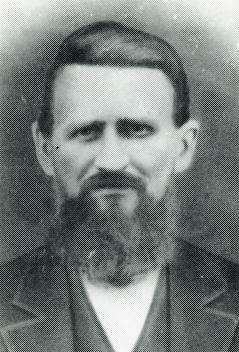 He was the father of John, who bought the Round Bottom property from Isaac and Elizabeth Sanner in 1855. Samuel Gwinns first journey across the mountains into what is now West Virginia may have been as a militiaman to guard settlements against the Indians. In 1756 the Virginia General assembly directed that a "chain of forts" be erected along the frontier for the defense of the settlers against the Indians. George Washington was entrusted with planning the locations and supervising the construction of these forts. One of them, Captain Breckenridges Fort, was located between present day Covington and Warm Springs, Virginia, just a ridge or two west of the head of the Calfpasture where the Gwinn family lived. (Could this explain the popularity of Breckenridge as a given name in the Gwinn family?) Other forts in this area were Fort Dinwiddie and Fort Dickinson. In addition to these official forts, many settlers who had substantial cabins fortified their homes by cutting loopholes in upper walls and sometimes by building stockadetype fences around them. When word came to a settlement that the Indians were "on the move", the settlers packed up some supplies and moved into one of these forts to be better able to fend off an attack. This was called "forting". Often, too, members of the militia would gather at an endangered fort to fight off an attack. In 1835, in applying for a pension voted by Congress for the benefit of soldiers who had served during the Revolution, Samuel Gwinn describes his personal experiences in "forting:"
I moved to the county of Monroe with my wife and two children, I lived at Thompsons fort for a year or two, then moved to a blockhouse, finally to Vanbibbers fort. At these places, I forted in the summer months. All the time afterward in the winter I returned to my cabbin [sic], and devoted the winter to hunting--all the people of the settlement took their families to the forts in the summer months--where we lived pretty much in common--we could turn out all in a body and work each others corn and potato patches by turn--whilst we would be working someone always would be watching for Indians--we worked and watched by turns. We selected from among ourselves someone in whom we had confidence as a sort of leader or Captain, and in this way we got along as well as we could--I was four or fives days defending the attack on Dunleys [Donnallys] fort, was called out for this service. It may have been during one of these expeditions to defend a fort that Samuel Gwinn got his first look at the Greenbrier country. In an earlier affidavit, submitted in applying for a government pension he believed was due him for his military service, he stated that "In the year 1771 or 2 he served a three months tour under Captain Laughridge (Lockridge), was drafted in Augusta County, Va., and was stationed at Clover Lick on the headwaters of Greenbrier in Augusta County and was stationed at that place to guard the frontier settlements against the Indians." One of the smaller family forts was located at Clover Lick, which is in present day Pocahontas County. Today, Clover Lick is only an isolated hamlet by the Greenbrier, but according to Dr. Prices History of Pocahontas County, in those days "The main route for emigration from Maryland, Pennsylvania, and other points north and northeast, passed by Clover Lick, to Kentucky and Ohio. As many as forty and fifty would be entertained overnight. This made Clover Lick one of the most public and widely known places in the whole country." It was the home of pioneer settler Jacob Warwick, and, according to Dr. Price, was the scene of at least two engagements with the Indians. Samuel Gwinn was to see more of the Greenbrier country in the coming years, and was finally to make it his home. In 1771, Lord Dunmore became governor of Virginia. He, along with several others, including George Washington, was very interested in land speculation west of the Alleghenies. His policies encouraged further settlement in what had been the Indians ancestral hunting grounds, and led to what is known as "Dunmores War". The Battle of Point Pleasant on October 10, 1774, between Virginia forces and Chief Cornstalks warriors, was the only major engagement of this war, but has been called by some the first battle of the Revolution. On July 24, 1774, Lord Dunmore ordered Colonel Andrew Lewis to enlist men from Augusta, Fincastle, and Botetourt Counties and to prepare to join him at the mouth of the Kanawha River. He himself was to lead a force from Fort Dunmore (now Pittsburgh) and join Lewis there. Colonel Lewis marched by way of Warm Springs and proceeded to gather his forces at Camp Union, near Lewisburg, where about 1100 men were mustered for the march to Point Pleasant. If, as his pension statement declares, Samuel Gwinn was on this march, he passed through country to which he was later to return as a settler. A historical marker at Green Sulphur Springs, now in Summers County, West Virginia, identifies the road there as being part of the route this expedition took. This is in the area where Samuel Gwinn and his descendants later came to own thousands of acres of land. The backwoodsmen of the Alleghenies felt that the quarrel was their own and were eager to fight. They were not uniformed save that they all wore the garb of the frontier hunter; most of them were armed with good rifles and all were skillful woodsmen, and although they were undisciplined they were magnificent individual fighters. On September 8, with 1100 men Lewis advanced from Camp Union on a fatiguing march, making his road as he went. Guided by Captain Matthew Arbuckle (an experienced frontiersman) he followed along the trail via Muddy creek, Keeneys Knob, Rich creek, Gauley, Twenty Mile, Bell creek and Kelleys creek to the Kanawha (September 21) which was followed to its mouth by canoes and by trail. During the Revolutionary war he [Samuel] was stationed at Point Pleasant, now in Western Virginia. An Indian had.crept behind a tree at a considerable distance from the fort for the purpose of observing the movements of the garrison. His person was entirely concealed with the exception of the heel of his foot which slightly projected beyond the tree. Delicate as was the mark, Mr. Gwinns unerring rifle pierced it with a bullet, and the unfortunate Indian crawled away as best he could in search of safer quarters. His old rifle was for a long time in possession of his grandson. Meanwhile, there was still Indian fighting, since by this time the British military strategy included making active allies of the Indians and encouraging raids on settlements. Samuel Gwinn states that he was stationed at Thompsons Fort and was called from there to the relief of Fort Donnally. Otis Rice, in The Allegheny Frontier, gives an account of this attack by the Indians on the fort near Lewisburg in May of 1778. The settlers were saved by a group of sixty-six men who had been assembled at Camp Union by Matthew Arbuckle and Samuel Lewis. No doubt Samuel Gwinn was among them. His statement then places Samuel Gwinn at VanBibbers fort, where he says he was "forted" for two months. Rice says, "The Indian depredations were conducted with frightful audacity, making forting the normal mode of life throughout the Alleghenies. Parties of Indians who appeared in the Greenbrier area on September 11 displayed typical boldness when they stormed the house of James Graham, which stood within three hundred yards of VanBibbers fort, killing three persons and taking another prisoner." Some time before moving to the Greenbrier country, Samuel Gwinn married Elizabeth Lockridge Graham, the sister of Major Andrew Lockridge. Elizabeths first husband was Robert Graham, brother of Major Lockridges wife, Jane (or Jean). Elizabeth, like many pioneer women, must have been a person of great courage and stamina to endure the trials of her life. Her first husband, Robert Graham, died in 1744. His will, recorded in March of that year, mentions three daughters, Sara, Jane, and Rebecca. By April 30, court records show, Elizabeth had also paid funeral expenses for a child, probably Rebecca. Soon Elizabeth was to go with her new husband, Samuel Gwinn, to the wilderness of Western Virginia, to face a life of hard work and constant fear of the Indians. Probably not knowing whether she would ever see them again, she left her two little daughters, Sara and Jane, with her brother, Major Andrew Lockridge. A record in an Augusta County Court Order Book shows that by June 20, 1775, Elizabeth was married to Samuel Gwinn. By 1780 they had moved to what is now Monroe County, West Virginia. Their first home was near the present town of Lowell. They lived here until 1799, when they moved to land Samuel had acquired near Green Sulphur Springs, in present-day Summers County. Among the "Gwinn Papers" now in the possession of Nelson Gwinn of Grand Rapids, Michigan, is the original patent for three hundred and fifty acres of land "by virtue of a land office warrant number eight thousand four hundred and fifty four." This land was granted to Samuel Lockridge, the document signed by Henry Lee, governor of Virginia, in August of 1794. How this document came to be among the "Gwinn Papers" remains a mystery. 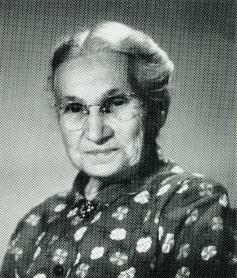 Samuel Lockridge must have been a relative of Elizabeth Lockridge Graham Gwinn, wife of Samuel Gwinn, but extensive research has not given any definite clue to the connection between them. Frederick Long writes, "Samuel Gwinn Sr. became a prosperous farmer and was known to be an honest, upright man. At the time of his death, through hard work and unyielding effort, his farm in Green Sulphur Springs became one of the most, if not the most valuable land in what is now Summers County." By 1816, Long says, he bought four tracts of land on Lick Creek, one over 28,000 acres. Samuel s older sons, Samuel Jr. and Andrew, remained in Monroe County. Samuel Gwinn took two slaves to the new property, cleared land and built a cabin, and then took his family on horseback across the mountains, Elizabeth carrying the baby Ephraim (born June 14, 1799) in her arms. John Gwinn was then ten years old. Samuel Gwinn died in 1839 and is buried near Green Sulphur Springs. (Elizabeth died in 1832, at the age of seventy-three, according to the inscription on her tombstone, but there is some reason to question the accuracy of the dates). In his last will and testament Samuel directed that three thousand fourteen dollars in cash be "laid out in Congress Land in the western Country" for the future use of his grandsons, thus showing considerable foresight and contributing to the settlement of the West. 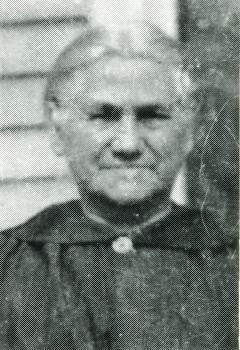 Three daughters, Ruth Jarrett, Isabell Busby, and Betsy Newsome, and each grandson named Samuel received a slave. His son Moses had preceded him in death, and he provided for Mosess children to share in the division of his property. Samuels son, John Gwinn, followed in his fathers footsteps and acquired many acres of land in what would be Summers and Fayette Counties. One of these was "one certain tract of land in the county of Fayette containing 230 acres, lying on New River and known as the round bottom tract," which he bought from Isaac and Elizabeth Sanner in April of 1855. This was the tract of land to which his son, Laban, would later bring his bride, Mary Jane Burdette. When John Gwinn was twenty-four years old, in 1812, he married Sarah George, daughter of Thomas and Catherine George. Twelve years later he bought his first tract of land, in what was then wilderness, near the present town of Meadow Bridge. The land was well-timbered. He cleared a large section of it and used it to raise grain, cattle, sheep, and hogs. Fayette County was formed by an act of the General Assembly of the state of Virginia in 1831. In the new county government, John Gwinn was commissioned a justice of the peace. In 1844, he received a commission from the Governor of Virginia to execute the office of Sheriff. He was the seventh Sheriff of Fayette County. He served in this office until 1846, receiving a salary of eighty-five dollars a year. At the June term of the County Court, 1840, John Gwinn was granted a license to keep a "house of private entertainment", a tax of $2.00 being imposed. This was a market place where all kinds of foods were kept and exchanged. The early hunters sold their venison, bear meat, beef, pork, hides, pelts and wild ginseng. The farmers traded their products for coffee, lead, powder, caps, tobacco, cotton cloth, etc. At that time it was all a barter business, with little money handled. It was also a stopping place for the traveling public, an Inn or hotel. Every month or so John and one of his sons would load a wagon with the surplus of grains or hides and make the two-day journey to Lewisburg where he would sell them. In this manner John was able to save a large amount of money. John Gwinn and his wife are buried in the Wickline cemetery near Meadow Bridge next to their daughter, Achsah, who was killed when she was eight years old in a freak accident when a tree limb fell on her. Johns tombstone, which was not erected until the 1930s, gives the date of his death as 1870, but this is incorrect. An old bill now in the possession of Nelson Gwinn is headed: "February 1871 John Gwinn moved to Lavin (sic) Gwinn on Newriver." The bill is for materials and labor for building a cabin, and totals $141.95, with $7.95 deducted (perhaps a down payment), leaving a balance of $134.00. The chimney of this cabin was still standing when I was a child in the 1930s, and I remember its being pointed out to me as the chimney of "Pappy Johns" cabin. Also, among the "Gwinn papers" in Nelson s possession is a note-book kept by Laban Gwinn, in which he had written, "John Gwinn was born Feb. 3 1790 died July 27, 1873 Sunday morning 6 oclock." I suppose John Gwinn came to be near his son in his old age (he would have been 82 then) and died there, but was taken to Meadow Bridge for burial. In January of 1861, for one thousand dollars, John Gwinn had sold the Round Bottom property he had acquired from the Sanners to his son, Laban. This deed was signed on January 20 in 1861 in "the county of Fayette and State of Virginia," but was not recorded until October 23, 1866, in the state of West Virginia. During this time, of course, a war had been fought and the new state formed. Had it been recorded when it was made, it might have been lost; Union forces burned the courthouse at Fayetteville, and the records were removed by a southern sympathizer and hidden in Montgomery County, Virginia, until the war was over. Laban and his wife must have been already living on the property. Nelson Gwinn has a document signed by George S. Birditt and Giles Birditt (Burdette) giving permission for Laban Gwinn to marry their sister, Jane. This is dated the fourth day of November, 1854. By 1861, Laban had built a house and barn on the Round Bottom property and was farming there. But the life there was to be disrupted by the Civil War, which brought hardship, heartache, and division to so many families in the border state of West Virginia. I have received no letters from my own parents since this rebellion broke out, or since this war began. I was, am yet, and always will be Union; live or die, sink or swim, survive or perish and I supposed that you must have all gone South for I continued to write to you for some time after and I received no letters. Its a long night of anxiety; two years and moreand no letter from Papa, or Mother, or brother, or sister, or cousin, or friend, or the home of our birth. And particularly when times are such as they are. In September of 1861 there was active fighting in the New River Valley. 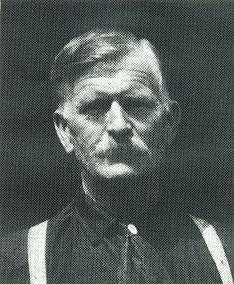 General Floyd had artillery positioned on Cotton Hill to keep the Union forces from using the ferry at Gauley Bridge. On October 29, General Rosecrans stationed Brigadier General H. W. Benham opposite the mouth of Loup Creek with 3000 men, but New River "went on a rampage," and they were unable to get across the river to destroy Floyds artillery. However, there was a skirmish at McCoys Mill, site of present-day Glen Jean, and Floyds cavalry commander was killed. Floyd fell back to Piney Creek in Raleigh County and McCoys Mill was then in the hands of Union troops. In December of that year, Laban Gwinn took the oath of allegiance before a Union officer, and was given a pass back to his home on New River. W. D. Thurmond, of Oak Hill, joined the Confederate Army on August 26, 1862, and organized a company of partisan rangers who were sworn into the army as part of Lt. Cal. David S. Hounshells Battalion, Virginia Cavalry, on September 19, 1862, at Fayetteville. Although they were not formally organized until September, these guerrilla fighters were active in the New River Valley during the previous summer. Some time in August, Laban Gwinn was warned ( family tradition says by a neighbor boy whom he had befriended, and who swam the river to warn him) that the Confederates were coming to arrest him. While Laban guarded the boat landing with a rifle, Mary Jane packed food, clothing, and three small children (Sarah, John, and eighteen-month-old Loomis) into a covered wagon. The family started up the mountain toward Camp McCoys Mill, and as they looked back, saw their house and barn burning. The bearer Laban Gwynn, a good union man with his family intends to go to Indiana, he is in reduced Circumstances, the bushwhackers robbed him, you would oblige me by giving him a pass for one of the government boats to reach Ohio. Pass Laban Gwinn and family through the lines to Indiana. Capt. Co. 3 7th Regt.O.V. 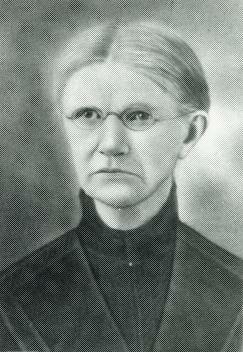 Labans sister, Francena, had married John Fulwider and moved to Indiana in 1843. This must be the reason Laban chose to go there as a refugee. You wrote you wanted to know something about land and the prices of land and the chance for a situation and so on. Well sir land lately has risen in value but then you know that is the case with everything elce. But sir land is plenty yet and cheape, that is prarie land, and can be bought as low as two dollars per acre and that as good as you ever saw. But timber is dreadful scarce this part of the country and it is all that is to hinder any boddy from settling right here. If you come prepared to buy a small farm or at any rate if you had fifteen hundred dollars to invest in land you might do splendidly well with it out here at this time. But if you intend or expect to rent for a few years until you can get at your property in Virginia you had best remain where you are. You are nearer to market than you would be out here in Iowa and would stand a better chance to sell your produce. If you are determined, that is if you have given up the idea of going back to Virginia, you had best come out west where land is cheape so that you may stand some chance to get some land of your own. The letters of the spring of 1865, however, revealed that peace was returning to the New River Valley, though much bitterness remained between relatives and neighbors who had fought on opposite sides. Whatever their reasons were, sometime in the late summer or fall of 1865 Laban and his family came back to Round Bottom. Family tradition says that they "camped out" in a sort of cave, or under an overhang of rock, for two years while they rebuilt the house and barn the Confederates had burned. The courage and stamina of Mary Jane Gwinn in all these hardships is almost unbelievable. Leaving the first home she and her husband had toiled to build in the wilderness; traveling all the way to Indiana with three small children; then leaving relatives and new friends there and coming back to a homestead in ruins; rebuilding the home and bearing more children under what must have been extremely primitive conditions must have required extraordinary strength of character. Among the trials the family faced was the loss of a daughter, Emily, at age three. Another daughter, Cynthia, is said to have "pined away" and died at the age of twenty-four. Both are buried in the family cemetery at Round Bottom. The "Gwinn Papers" in Labans old trunk give some indication of the economic hardships suffered by the family after the war. Many letters dated in the 1870s are "duns," asking for payment for farm supplies, seeds, and other necessities. A letter from a Miss Woolwine, the teacher of a school, probably at a lumber camp near McKendree, begs Laban to buy books for his three children, Loomis, Lewis, and Belle. Living conditions at Round Bottom even after the war were still very much those of the frontier. The river was the only means of transportation other than narrow trails. It was necessary to go once a year by boat or by horse or mule, to the salt works near Kanawha Falls to buy or trade for the salt so necessary for farm animals and for cooking and preserving food.